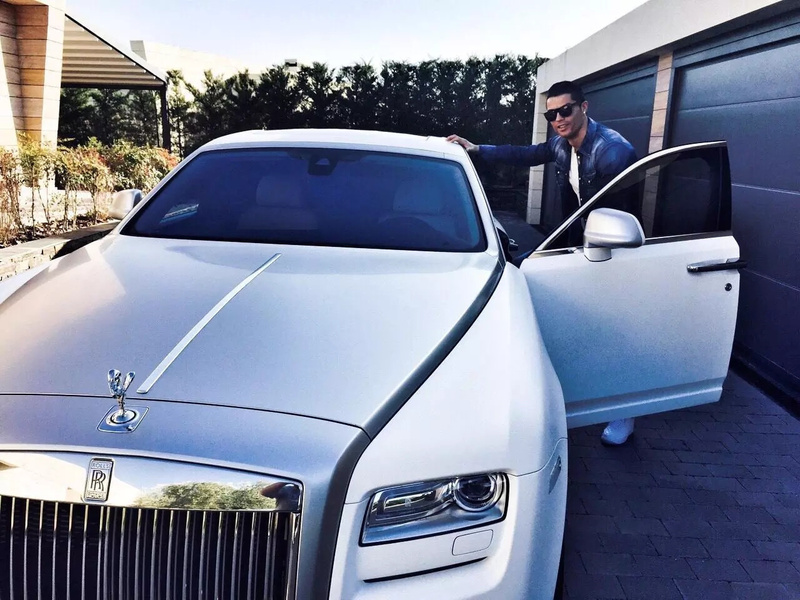 Cristiano Ronaldo, top-rated Real Madrid footballer, constant Forbes leader among highest-paid athletes loves to show off his houses and cars on his personal Instagram profile. 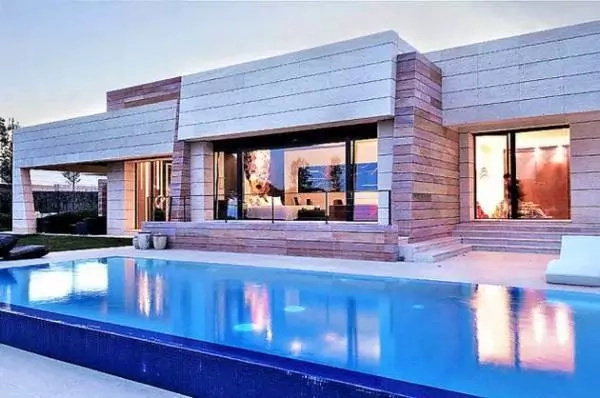 In the following article, you will find out about Cristiano Ronaldo houses and cars plus exclusive photos inside his £4.8 million Spanish villa, situated not far from Madrid. Even people, who can't imagine themselves watching football matches, are somehow acquainted with Cristiano Ronaldo's name. His personality is constantly highlighted in social media, top magazines and news. Mostly because of Cristiano Ronaldo houses, cars, and luxurious life. 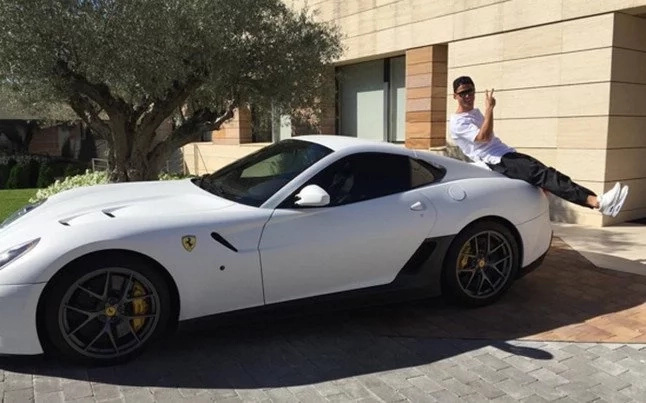 Cristiano Ronaldo houses and cars are often highlighted on his personal social network profiles. The world-class football player, Real Madrid star earned cosmic 98 million dollars only for 2017. 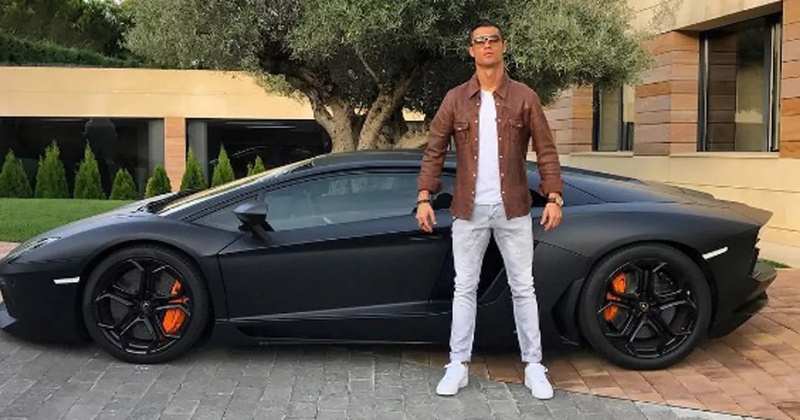 Ronaldo is one of the most flamboyant sportsman in the world, that is not afraid to show off his king-like properties and exclusive cars. He is the lucky owner of a £4.8 million Spanish villa near Madrid, Spain and a $7.2 million penthouse in New York, USA. He bought a couple of sports and exclusive cars, each of which cost up to several million of dollars. Ronaldo prefers luxurious brands like Ferrari, Lamborghini, British Rolls Royce and Aston Martin. Sometimes, when Ronaldo is bored driving his next Ferrari, he travels with the help of his private jet, Gulfstream G200 business jet. The cosmic price of this caprice - is 17 million US dollars. All this luxurious purchases in general, make Cristiano Ronaldo the wealthiest football player in the world. His net worth is - $330 million. 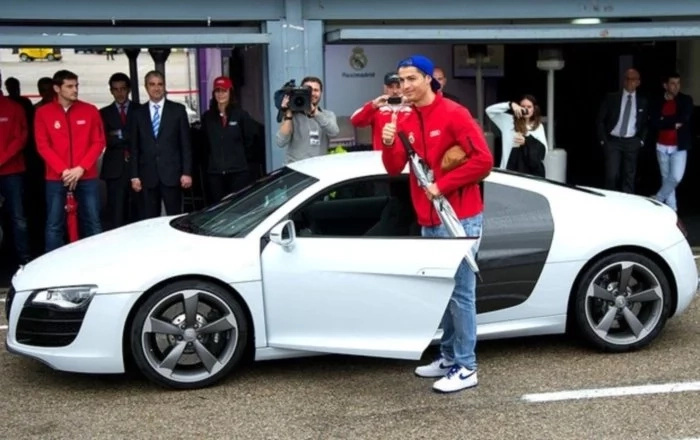 Check out the pictures of Cristiano Ronaldo house and cars in the following article. 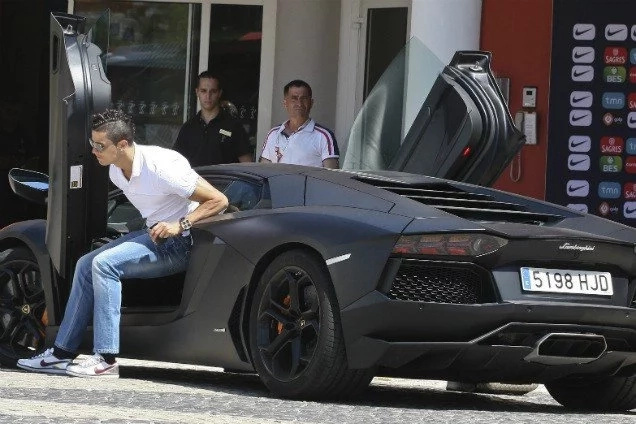 According to pictures of Cristiano Ronaldo house and cars, his contracts with Nike, Armani, Tag Heuer and Castrol world known football player can allow himself everything. His collection of cars is a pure evidence of his love of light speed. Check out the Cristiano Ronaldo's cars pictures and description. This is Mercedes-Benz C220 CDI - the cheapest car in Ronaldo's car collection of 19 exclusive cars. Bugatti Veyron, a dream car that came true for Cristiano Ronaldo. A car that anyone would love to have in their garage. A real Italian beauty - Lamborghini Aventador LP 700-4, another proof that Ronaldo is a speed fan. Luxurious Bentley GT Speed, worth 220.000 Dollars another pearl in Ronaldo's collection. 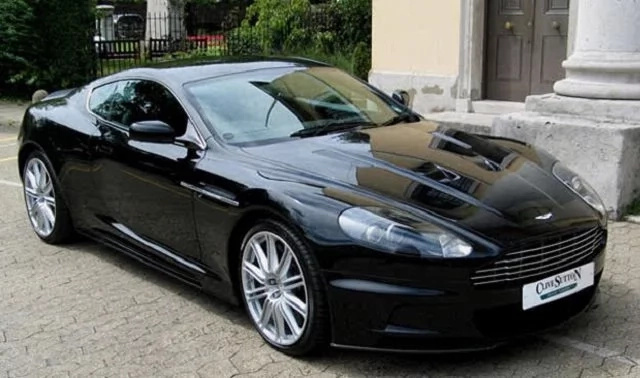 Beautiful black Aston Martin DB9. One of the most popular cars among celebrities - Audi R8. No wonder Ronaldo bought it for his car collection. Iconic Ferrari 599 GTO - pure Italian design. Of course, this is not the whole collection of Cristiano Ronaldo's cars. He is also a lucky owner of Ferrari 599 GTB Fiorano, Ferrari F430, legendary classics Rolls Royce Phantom, Maserati GranCabrio, BMW M6, Bentley Continental GTC, Mercedes-Benz C-Class Sports Coupé, Porsche Cayenne, Porsche 911 Carrera 2S Cabriolet, Porsche Cayenne Turbo, Audi Q7, Audi RS6 and a Mercedes-Benz C220 CDI. Sounds too good to be true? his is Ronaldo's reality. During his brilliant career in Manchester United, Ronaldo used to live in this mansion. However, now it is in "For Sale" status. 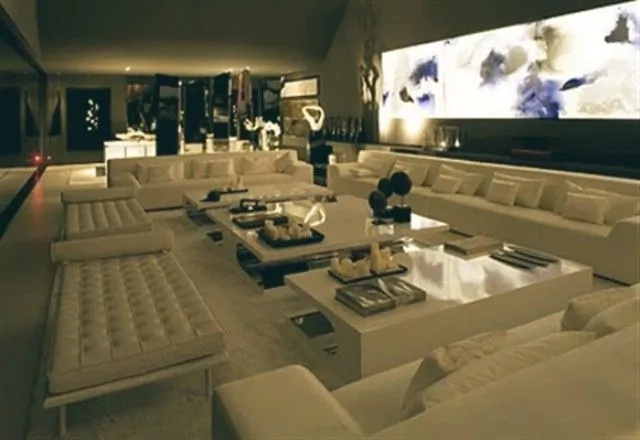 Cristiano bought it in 2006 for Alderley Edge Mansion. Cristiano Ronaldo's Spanish villa is already a legend among his fans. Luxurious $7 million mansion of 8,600 square-feet contains seven bedrooms, two pools and even eight bathrooms.  Besides the listed above houses, it is known that Cristiano Ronaldo owns a $7.2 million penthouse in New York, USA and $2 million apartment in the center of Lisbon, Portugal. This expensive house is located in luxurious neighborhood of La Finca and was built and designed by celebrity architect Joaquin Torres. Ronaldo is so proud of his new home, that the main door contains his initials. The celebrity football player lives there with his girlfriend and his four children. The house is full of expensive furniture, designer chandeliers, family portraits, enormous TV screens mounted on the wall, two swimming pools, fully-equipped home gym and so on. It is obvious that 2017 was a great year for Cristiano Ronaldo. One of the goodies of the previous year - Bugatti Chiron, a vehicle masterpiece with a 16-cylinder, 8 liter engine and mind-blowing 1500 horsepower. The super car can take its owner from 0 to 96.5 kph in just 2.5 seconds. Two-seater beauty with design carbon ceramic break discs and break callipers that were created specially for Bugatti Chiron. Luxurious car for a king-like lifestyle.